From June 2018 we are known as BiA Doula Training. The training was founded in 2012 by Jennifer Walker and Jacky Bloemraad-de Boer as JJ Doula Training. They were amongst the first doulas in the Netherlands and have been key players in shaping the doula community. 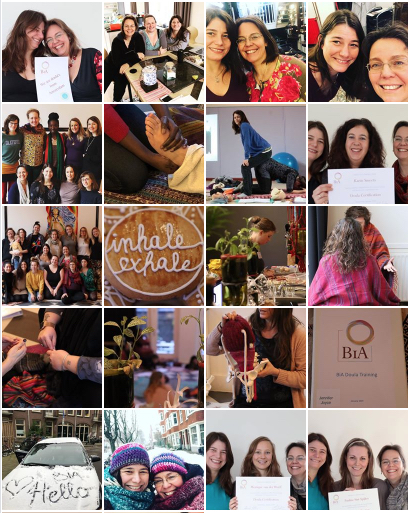 Currently BiA Doula Training and BiA Centre Amsterdam are run by Jennifer Walker and Joyce Hoek-Pula, with the support of Marjolein Blokker, our administrative doula. See more about the trainers here. Read more about our vision and mission on the next page.